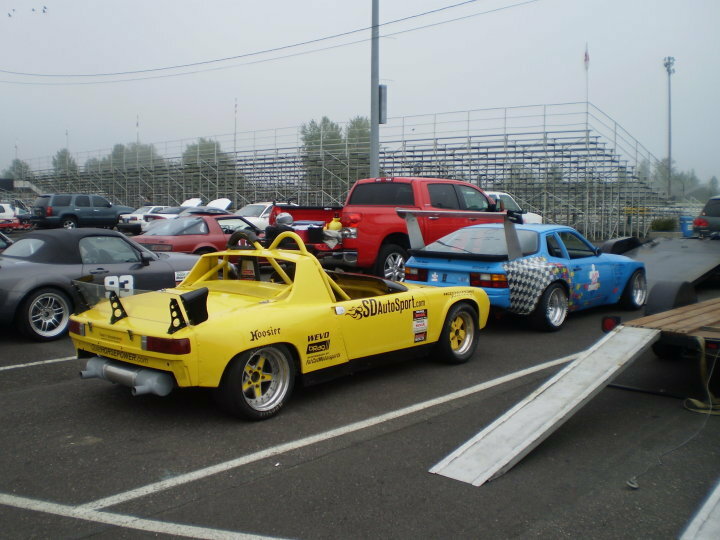 Selling my open deck trailer with custom 8ft aluminum ramps used for transporting my 914. The aluminum ramps slide on custom rails underneath and are secured with a lock. Trailer has electric brakes and has had both wheel hubs replaced over last 2 years. The wood deck has also been redone with pressure treated wood. Recently added a removable tire rack over the front as well as a storage shelf behind the hitch. Trailer always stored with a cover. Asking SOLD!!!. Title in hand. Let me know if you have additional questions. Picture with tire rack installed. Note: Car not included. 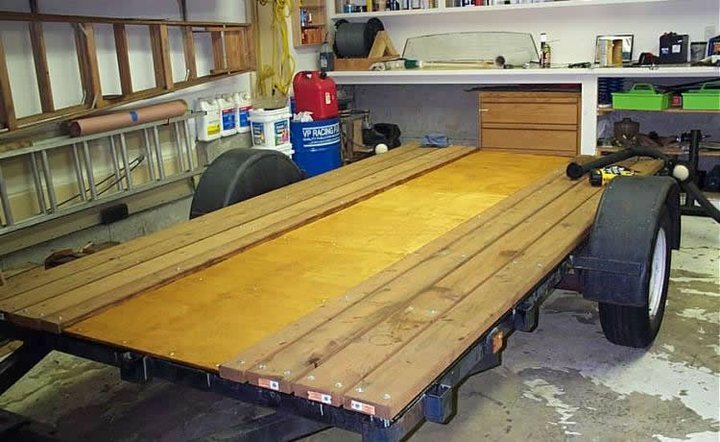 I went thru some photo's of past events and found a picture of the trailer with the 8ft aluminum ramps so you can see how nice they are when loading the car on the trailer. Trailer bed 12ft x 6 ft.
Make me an offer, need more funds for engine conversion. Oh, and I will include the tie-down straps set-up specifically for this trailer. Just out of curiosity, what's the trailer weigh? I am looking for another trailer, but not for a while... Need to get busier at work! I don't have the exact weight...but it can't be that bad because me and a friend lifted it up on its side and leaned it against a tree when we welded the brackets underneath the slide the aluminum ramps under. I will inquire with JP tomorrow. Ok, trailer back on the market. Buyers funds did not come thru. 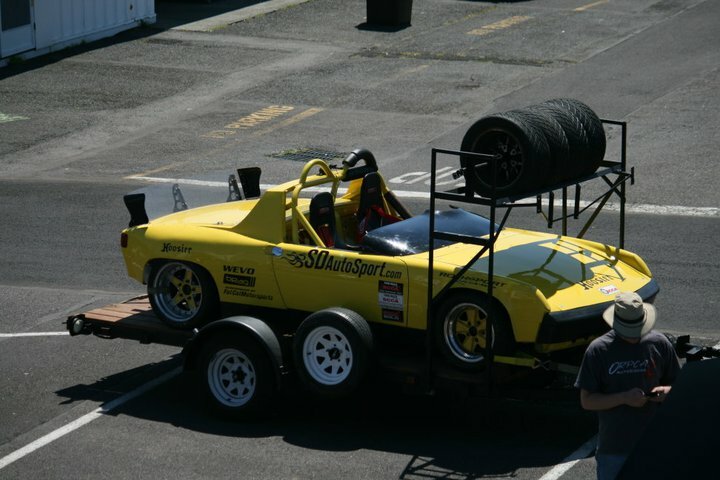 Racing season starting soon, who needs a trailer. What do you mean T.C.? There are pictures in the first few post above. Bump...racing season is starting, save those race tires.